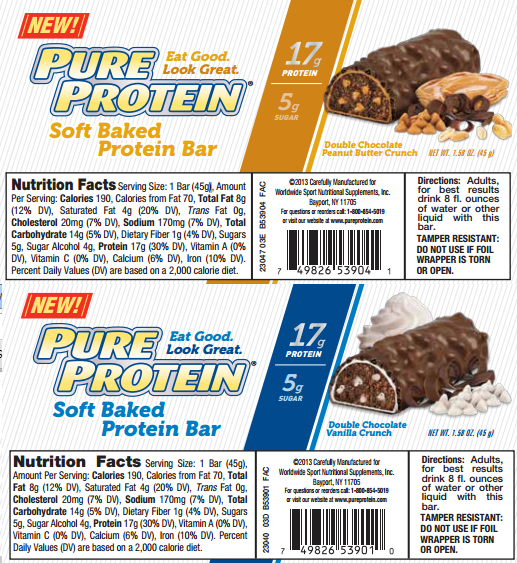 As you can see, each bar comes in at 190 Calories, and 17g of Protein. The protein blend they use in these bars is the standard mix of Whey concentrates and isolates, Soy isolates, and Milk concentrates. This is pretty common across the board for most protein bars, which means the protein profile could definitely be better. 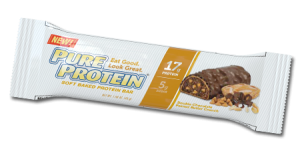 Concentrated protein is generally a lower quality and much cheaper, which is why it is used in these bars more frequently. At 190 Calories and 17g of protein these rank about in the middle for protein value. The bars themselves are kind of small, so they won’t provide a lot of satiety. As far as flavor is concerned, both of the bars are actually very tasty. Each bar has a chocolate coating over a crunchy layer that is satisfying to eat. The peanut butter bar had a strong peanut butter taste, but not a lot of the fake peanut flavor you associate with a lot of peanut butter protein stuff. The chocolate vanilla one was my favorite, and it was definitely chocolatey! 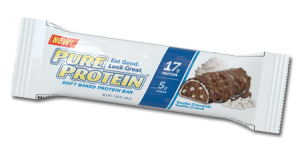 If you are looking for a tasty bar on the go that isnt too bad for you, check out the Pure Protein Baked Bars. They aren’t the best value protein wise, but they taste a lot better than some of the competition!